Bape, Mita, and Reebok link up. No shoe is eclipsing the OVO x Air Jordan 12 this weekend as the most anticipated, but there is one popping up randomly that might draw a little bit of heat away from that pair. 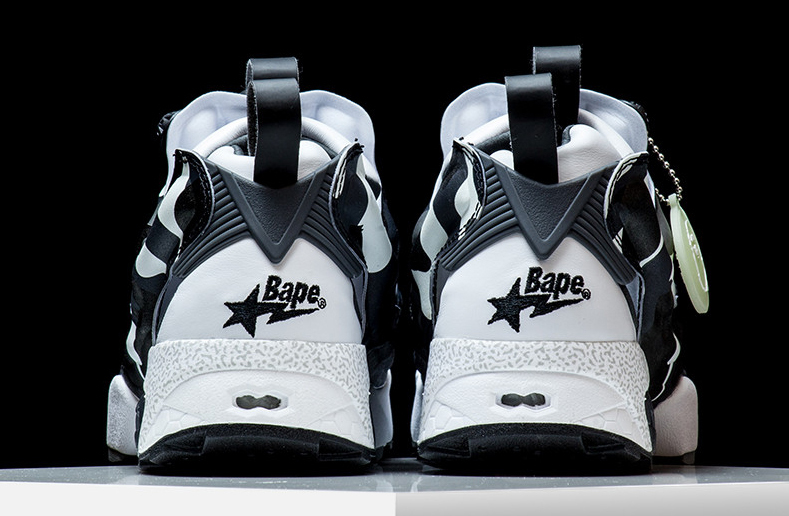 Apparently hitting tomorrow is this design from Bape, Mita, and Reebok. 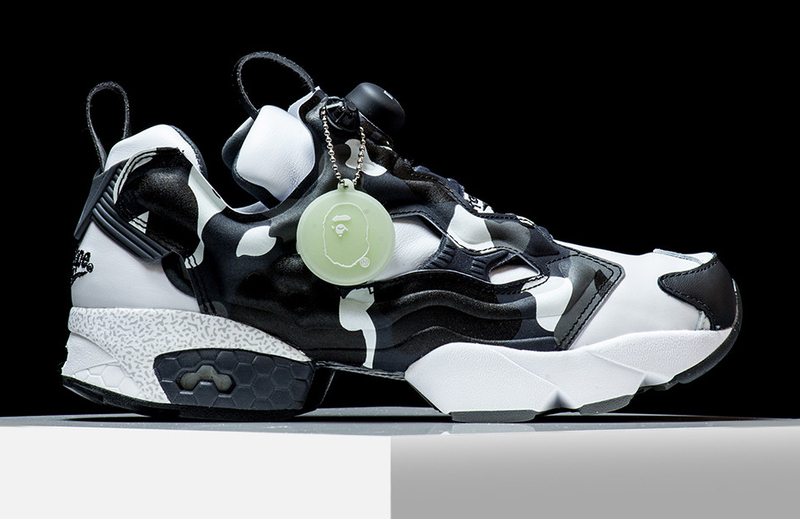 The Bape x Mita x Reebok Insta Pump Fury has the kind of camouflage one usually associates with Bape, a hangtag featuring the brand's ape head logo, and familiar embroidery on the back. 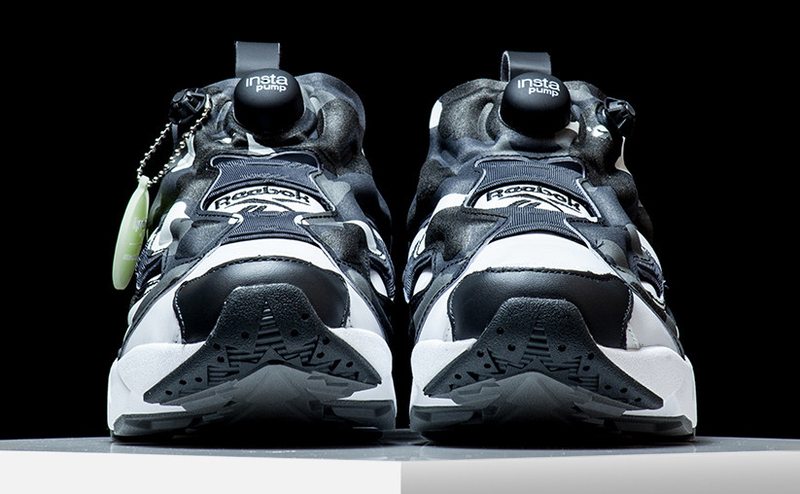 New York sneaker shop Rise is planning to release this Bape x Mita x Reebok Insta Pump Fury on Saturday, Oct. 1. These entities have collaborated on this shoe before, with an olive pair from all three releasing in 2014.